THE coastal market is remaining strong through spring as eight properties are scheduled to go under the hammer this weekend. The auction clearance rate across Geelong also remains strong. Last week CoreLogic recorded a clearance rate of 75.6 per cent from 45 recorded auctions. Here are two properties going to auction this weekend. A three-bedroom house on 816sq m of land in Ocean Grove will be going under the hammer on Saturday at 11am. 142 Powell St East, Ocean Grove is sought after because of its size — 816sq m.
The house at 142 Powell St East is surrounded by established gardens and has a kitchen and meals area and a separate dining room and loungeroom that lead outside. There is potential to subdivide, renovate or develop, subject to council approval. Hayden, Ocean Grove agent Lynley Bassett said price expectations were $700,000 to $770,000. 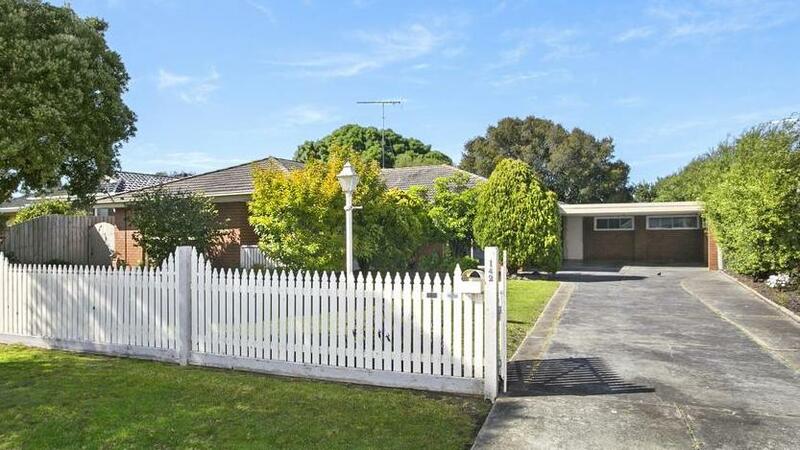 A large renovated house in Torquay is scheduled to go to auction on Saturday at 11am. The five-bedroom house at 28 Aquilla Ave is a short walk from the beach and shops. The house is spread over two levels with the open-plan living area, one bedroom and a sitting room on the ground floor and four more bedrooms, including the main bedroom and a retreat upstairs. Hayden, Torquay agent Ben Smith said price expectations were $760,000 to $820,000.